BiddingForGood.com, an e-commerce charitable company founded in 2003, announced an online auction featuring celebrity animal lovers, slated to end December 16, 2001. The Bowl Project, presented by PAWS/LA and being hosted on BiddingforGood.com, features singular pieces of “pup art” bowls, each their own personally painted and signed celebrity artist signature piece. Proceeds from the auction will go to benefit the programs and services of PAWS/LA. Some of the celebrities taking part in the auction include Paula Abdul, Ellen DeGeneres, Betty White, Jessica Simpson, Jane Lynch, Chelsea Handler, Kate Walsh and Boo Boo Stewart. Last year’s online “pup art” event raised over $35,000, and this is the second year PAWS/LA has presented the fundraiser. 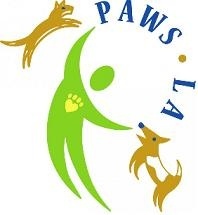 A non-profit organization based in Los Angeles, California, that assists people who have life-threatening illnesses and/or elderly and have a lower income, PAWS/LA helps people keep and care for their animals with a variety of services, veterinary care, pet food and supplies, dog walking, etc. All of these services are given at no charge to the client, so proceeds from the auction are used in funding PAWS/LA’s missions. BiddingforGood provides auction platforms for schools and nonprofits, consumers and businesses to come together for fundraising efforts. Through their Charitable Commerce programming, over 6,000 customers and more than 230,000 bidding shoppers have been a part of the charitable online efforts. Some of the things BiddingforGood has been able to accomplish include online auctions at their core but also volunteering in soup kitchens, in support of troops, after-school programs and other hands-on free-time efforts. To learn more about the PAWS/LA auction, visit www.biddingforgood.com/auction/AuctionHome. PAWS/LA’s website is www.pawsla.org/.